A Christmas Carol, Charles Dickens: I wanted to like this book, I like the story and have enjoyed the different movies from Patrick Stewarts down to Albert Finneys versions. 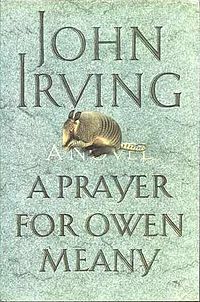 It’s a classic and I don’t regret reading it. What better way to invite a feeling of Christmas than to read about Scrooge and his magical transformation from miserable miser to generous soul. What I do regret is that I couldn’t find quiet alone time to give it the attention and focus it deserves. Dickens is not the easiest reading even for experienced readers. I wanted to be sucked in and be able to live through the story in the same way I enjoy modern fiction but it wasn’t to be. The words refused to come alive for me and I didn’t have the patience to force them to do so either. This book is best enjoyed in front of a fireplace with a glass of wine and time for quiet contemplation – not from one’s phone while holding a wiggly toddler who is watching one of their obnoxious TV shows. Wuthering Heights, Emily Bronte – Somehow I escaped reading this in High School and perhaps it was for the best that I did. Along the same lines of Christmas Carol, this book requires lots of attention to keep track of what’s going on. I had more quiet time to work on reading this time, which helped, but in the end I can honestly say I didn’t enjoy the experience. The characters are not likable which makes it hard to empathize with their multitude of plights. So far I’ve been enjoying the challenge of reading books that fall far outside my preferred reading bubble. 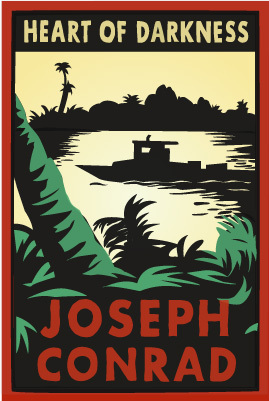 The language of these books is distinct and delicious and meant to be savored, like foreign chocolate. I can’t wait to get a taste of the next one! What are you reading this year? Share in the comments! Happy Presidents’ Day everyone! If you are state side I’m hoping you are all enjoying the holiday, if not I hope you having a marvelous day anyway. 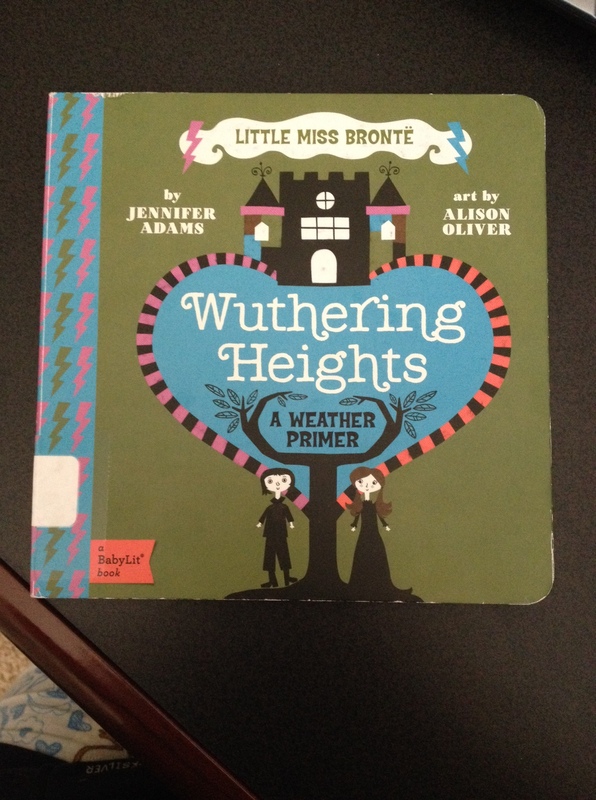 I visited my local library the other day and saw something that made my jaw drop, a board book of Wuthering Heights. Generally, I consider the sole purpose of a board book is to give teething infants something new and colorful to chew on, not to introduce classic literature; so when I saw this I had to laugh. Had I seen it a few months ago I still would have found it amusing, but as I am currently reading the original unabridged edition for the first time, it’s hilarious. First of all, babies aren’t going to care about the complex (and utterly dysfunctional) nature of the relationship between the rogue Heathcliff and the barely civil Catherine. Secondly, I’m not sure how much I care either. It’s the attempt that’s funny. Turns out they didn’t even bother. The book is a study on the different weather conditions found out on the moors, randomly using Bronte’s prose to emphasize conditions such as sunny, cloudy, and windy. For all it’s worth I’d get it just because it makes me smile.